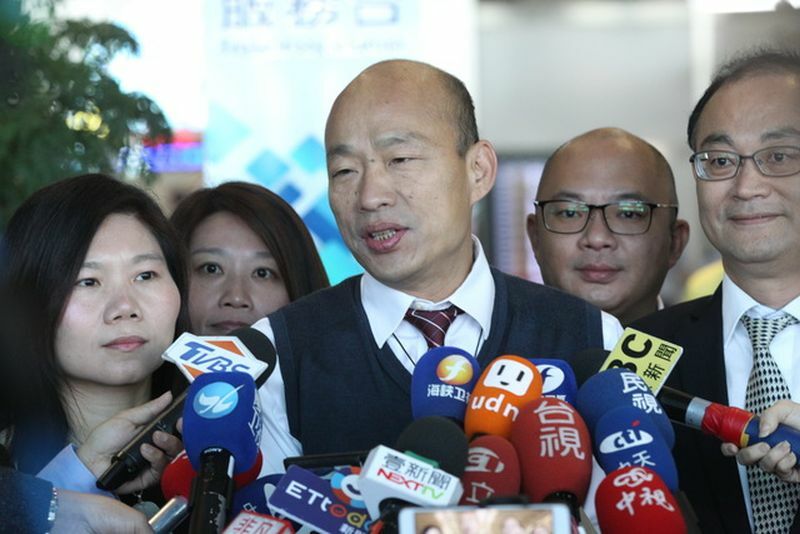 Kaohsiung Mayor Han Kuo-yu has met with Beijing’s top official in Hong Kong Wang Zhimin, in a rare high-level meeting not afforded to other Taiwanese mayors. Han Kuo-yu, of the Kuomintang party, was tipped to run in the presidential race next year representing his party. He entered the China Liaison Office in Sai Wan on Friday afternoon. Before the meeting with Wang, Han met Hong Kong Chief Executive Carrie Lam, and attended an event promoting Kaohsiung agricultural products. NT$2.3 billion (HK$585 million) worth of trade memorandums of understanding involving Kaohsiung products were signed. Han Guo-yu meeting Carrie Lam. Photo: GovHK. 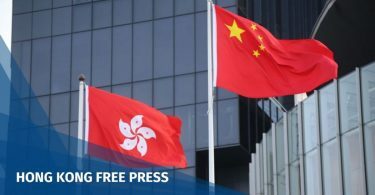 When arriving at Hong Kong’s airport on Friday morning, Secretary for Constitutional and Mainland Affairs Patrick Nip and Liaison Office Taiwan department head Yang Liuchang were present to welcome Han. Kao Ming-tsun, Taiwan’s acting top representative in Hong Kong, was also present. It was the first time the Hong Kong leader had met a Taiwanese mayor since June 2014. At that time, then-chief executive Leung Chun-ying met Taipei mayor Hau Lung-bin at Government House. Ma Ying-jeou, another former Taipei mayor, only met the Hong Kong leader during his second visit as Taipei mayor. After meeting Lam, Han said she told him that a quarter of agricultural products and seafood imported to Hong Kong were from Japan, and 3.6 per cent were from Taiwan. He said he was shocked by the figure. “If we increase the figure to 10 per cent or 12 per cent, it would be very reasonable. Clearly, agricultural products and seafood from Taiwan are not promoted enough in Hong Kong,” Han said. Han Guo-yu. Photo: Apple Daily. At a press briefing, Han declined to answer political questions, but asked a reporter if she had tried fruit from Kaohsiung provided at the event. 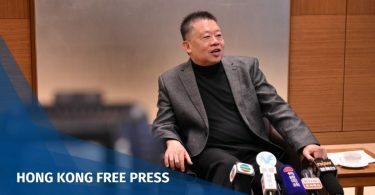 He said he would not compare his visit with previous Hong Kong trips by former Taipei mayors Hau Lung-bin and Ma Ying-jeou: “What I feel is that [Hong Kong] people are very good, the food is very good, there is a lot of space,” he said. He also said cruises from Hong Kong can stop more frequently at Kaohsiung. “We hope Hong Kong people can come to Kaohsiung more,” he said.